Hog Roast Eccles is often invited to cater parties and events like weddings, corporate functions, birthday parties and christenings, to name but a few, but recently we were asked to cook a centrepiece hog roast for a retirement home open day. The event was put together partly to raise money for the residents, so that they could go on more outings, and partly to raise awareness of the home. Eileen, the manager, called to book us for our infamous pigs in buns, and also asked us about alternative options, as they would need some special diets catering. We have spent years making our customers and their guests happy, and that often means ensuring dietary requirements can be covered, whether vegetarian, vegan, gluten-free, or wheat-free, for example. For the open day, Eileen knew that at least one vegetarian guest would be attending and figured that there would likely be more, and also needed a gluten-free option. 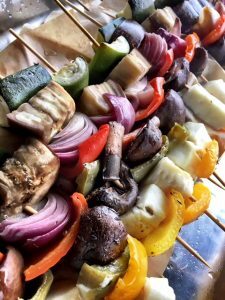 In terms of the vegetarians, one of our most popular Hog Roast Eccles alternative dishes is our grilled halloumi cheese and vegetable kebabs, with fresh tomatoes, mushrooms, mixed peppers, courgette, and red onion. We can also easily make them vegan if required, by omitting the halloumi. When Eileen asked us about the gluten-free option, it was partly for herself, and she said she was sad she couldn’t enjoy the pigs in buns like most of the guests, but that’s where she was wrong! Our hog roast rolls are totally suitable for guests with a gluten intolerance or allergy as long as we bring along gluten-free bread rolls or wraps; the meat, crackling, apple sauce and stuffing are all suitable already. Eileen was ecstatic about this and asked us to make sure there were enough suitable bread rolls for her and for a few guests, just in case. Hog Roast Eccles arrived at the retirement home in the early hours of Saturday, and set up our equipment so we could start roasting the hog for a few hours. 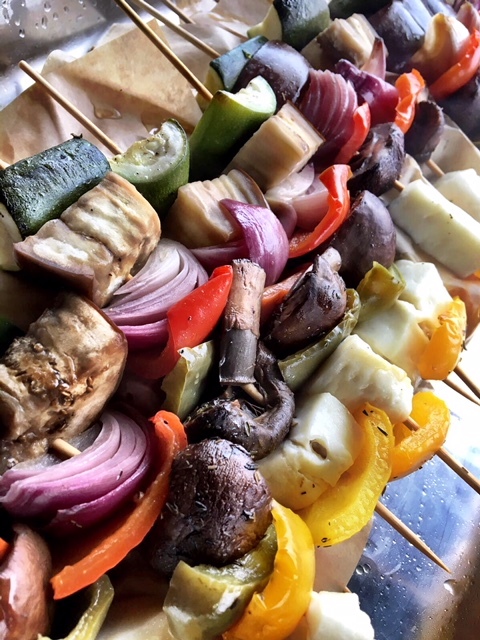 By lunchtime, the meat was resting and ready to be carved and stuffed into rolls and wraps, the veggie skewers were ready to be devoured, and Eileen was definitely more than ready for her gluten-free pigs in buns!